MICHAEL FINKEL is the author of True Story: Murder, Memoir, Mea Culpa, which was adapted into a 2015 major motion picture. He has written for National Geographic, GQ, Rolling Stone, Esquire, Vanity Fair, The Atlantic, and The New York Times Magazine. He lives in western Montana. "A story that takes the two primary human relationships—to nature and to one another—and deftly upends our assumptions about both. This was a breathtaking book to read and many weeks later I am still thinking about the implications for our society and—by extension—for my own life." 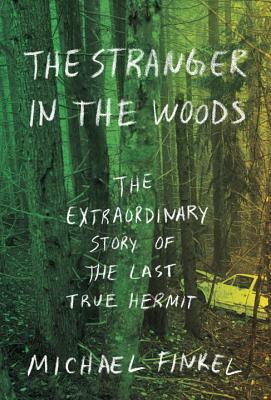 "An absorbing exploration of solitude and man’s eroding relationship with the natural world. Though the ‘stranger’ in the title is Knight, one closes the book with the sense that Knight, like all seers, is the only sane person in a world gone insane—that modern civilization has made us strangers to ourselves." "Campfire-friendly and thermos-ready, easily drained in one warm, rummy slug… Raises a variety of profound questions—about the role of solitude, about the value of suffering, about the diversity of human needs." "Michael Finkel has done something magical with this profound book… [His] investigation runs deep, summoning…the human history of our own attempts to find meaning in a noisy world." "Chris Knight is an American original... I burned through this haunting tale in one rapt sitting."